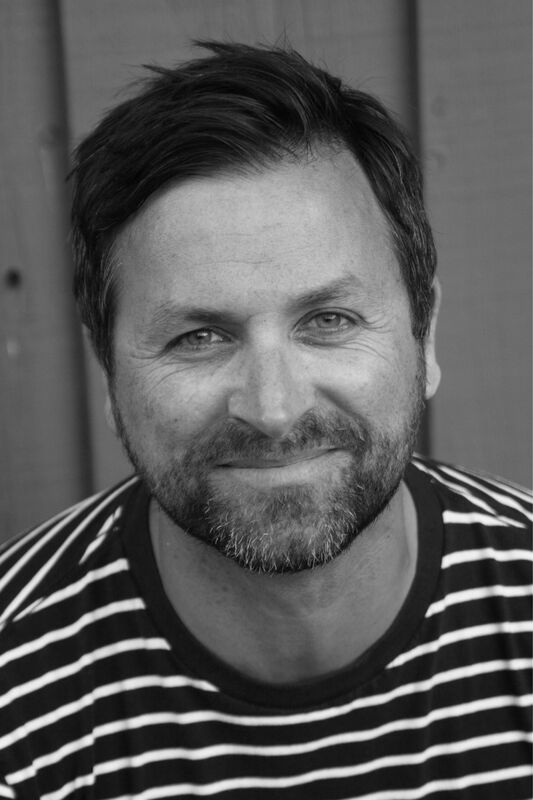 I’m delighted to welcome fellow Hodder author Jon Rance to my blog, with an exclusive interview to celebrate the launch of his latest novel ‘This Family Life‘. 1) Welcome to my blog Jon! Please tell us more about yourself and your journey to being a writer. Hello, I’m Jon Rance, author of three novels, ‘This Thirtysomething Life’ and its sequel ‘This Family Life’, and ‘Happy Endings’. I’ve been writing for about ten years, but it wasn’t until 2012 that I got my break and signed a two book deal with Hodder and Stoughton. I’m a bit of a nomad and although I grew up in England, after travelling the world I met my American wife in Australian and I’ve been in California for the last ten years – although we’re coming back to England next year! 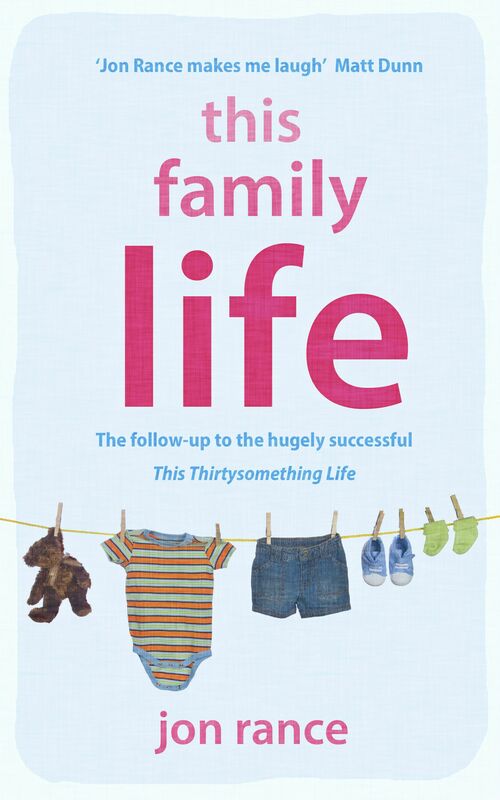 2) Your new book ‘This Family Life’ has been influenced hugely by you becoming a father yourself. Can you explain a bit more about how becoming a dad has affected your writing? Being a father completely changed my writing career. Before I became a dad I worked for a marketing company full-time and wrote in my very little spare time. I wrote three (still unpublished – thankfully) novels during that time, but after we had our first baby I decided to be a stay at home dad. Two things happened after I started being a full-time dad. One: I had a lot more time to write and think about writing. Two: I got a whole new subject matter to write about. I’ve always believed in writing about what you know and going through a pregnancy with my wife and then raising a child is one of life’s most incredible experiences and as it turns out, packed full of humour and plenty of raw emotion. Now I have two children and in my latest book ‘This Family Life’ I tackle the first year of parenthood, which as any parent will tell you can be terrifying, tiring, but also so rewarding, and again, full of humour and pathos. I love being a dad and writing about family is something I won’t always do, but being in it and seeing it first hand, at least I have plenty of material. 3) This Family Life explores people’s transitions into their early thirties. This is really interesting. Why did you choose this stage of life to focus on, and why did it inspire you particularly? Both ‘This Thirtysomething Life’ and ‘This Family Life’ are semi-autobiographical. Both books are written in the diary format from the point of view of Harry Spencer, an early thirties teacher, husband, and eventually father. Going through the early thirties myself and becoming a parent, being a husband, I started thinking about this time and for me at least, it was a sometimes difficult period. I think in our twenties we’re still trying to find the right job, the right partner, our place in the world, but I know that once I hit thirty I felt this panic that I hadn’t done all those things yet, and then I had a sort of mini and very early midlife crisis. I wanted to focus on this period and show a man struggling to adapt to life, to becoming a father, working on his marriage, and sort of falling apart – but in a very humorous way. 4) What are your writing dreams and ambitions? Probably like most writers I dream about having a ‘One Day’, ‘Bridget Jones’ sort of success. The book that sells millions of copies around the world. The hardest part about being an up-and-coming-writer, still trying to build a fan base, make a living, is that there’s constant pressure to do well, to make money so I can keep doing it. For me having success is making enough money so that I can help support my family and write. My ambitions are to keep writing, keep getting better, and to hopefully write books that people can relate to and laugh at. 5) You have been reviewed as an excellent rom-com writer. What are your thoughts and feelings on the ‘chick lit’ genre? I definitely wouldn’t categorise my work as chick lit. I don’t have a problem with the genre and there’s some great chick lit writers out there. The thing is, I don’t really think of genre when I’m writing. It isn’t like I try and write a certain way or fit into a particular pigeon hole. Genres are just tags given to writers to help publishers and readers, but in reality there’s a lot more to most ‘chick lit writers’ that I read than standard, formulaic boy meets girl. I don’t mind being shoved on the chick lit bandwagon, but only because there isn’t really a specific genre for what I do, and there’s so many great books on the same bandwagon. 6) What are your three favourite books? Oh gosh, this is a tough one. My favourite book will always be ‘The Catcher in the Rye’, because I read it when I was about fifteen and it really inspired me to be a writer. More recently I would have to go with ‘One Day’ by David Nicholls because again it inspired me. ‘One Day’ is such a wonderful book that really captures a time and a love story that draws you in and then there’s the ending that blows you away. These are my two definite top three books, but after that there are lots of books I could add to the list. It’s a toss-up between ‘High Fidelity’ by Nick Hornby and ‘Man and Boy’ by Tony Parsons. ‘Man and Boy’ is one of those books you read and you know it’s written from experience. It’s emotional, funny, and honest – the three things I always try and capture in my own work. ‘High Fidelity’ is the book that really carved open a genre for men and is such a funny, true to life book about relationships and love. Thanks for the interview Jon! I always find the question ‘what is your favourite book?’ a difficult one. A few titles spring to mind, and I soon find myself in a tangle. Lionel Shriver’s ‘We Need to Talk About Kevin’ is a stand-out because the story was so ‘disturbing’ I had to stop reading for a little while. Anything that makes me feel that much always prompts my admiration. David Nicholls’ beautiful ‘One Day’ pretty much inspired me to write my first novel ‘This is a Love Story’. ‘Why Be Happy When You Could Be Normal’, by Jeanette Winterson had me in tears of awe on several occasions. I could list many more. In short, I have read a number of stunning novels that all compete with each other in the ‘favourite book’ stakes, and when asked in the past, I’d rather not wanted to commit to one. Until now. This morning I was snug as a bug in a rug, curled up in bed with several cups of coffee, finishing ‘Angel’ by Elizabeth Taylor. I discovered this novel because I’m collecting the gorgeous VMC Designer Collection, and Angel is a part of it. Its cover design (pictured) has been beautifully crafted by Celia Birtwell, (responsible for a popular range in Topshop a few years ago). The novel was first published in the UK back in 1957, and this celebratory VMC copy has an introduction by Hilary Mantel. When I was reading Mantel’s words, I already knew that this book could be quite special… Mantel says “… what Elizabeth Taylor does is to de-romanticise the process of writing and show it to us close up, so we are aware that if ten per cent of the process is exhilaration, the rest is tedium, backache, and the fear of failure.” She discusses the vanity required to keep this going, adding that writers are ‘monstrous’. My interest was well and truly sparked! 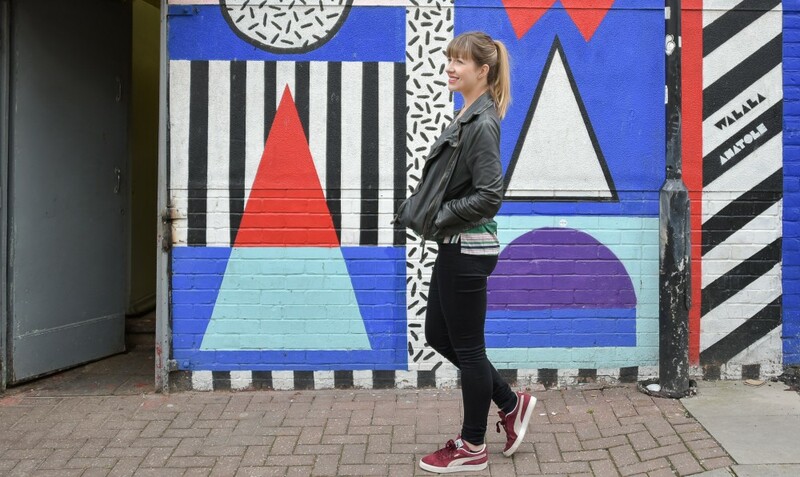 ‘Angel’ follows novelist Angel Deverell from her petulant teenage years living in poverty, up until the last moments of her life, surrounded by the decaying trappings of her own success. Angel is a fascinating character. She is so stunningly written by Taylor that she feels real despite the passage of time that has slipped away since this story was penned. It’s rare that novels can conjure up this much imagery. It was as if there was a feature film flickering across my eyes as I read every word. I devoured paragraph after paragraph of delicious prose, descriptions so rich I found myself blown away by Taylor’s talent. I must include a minor ***spoiler alert*** before I discuss this book in any more detail… Although there is so much more to this novel than my review reveals (for those who would like to read on), anyone who likes to go in ‘blind’ may want to stop here and come back later. I will go on now, (if you are still with me…) Angel, in a nutshell, is pretty obnoxious. She can be strikingly cruel, and almost impervious to her vile behaviour towards the people around her who fawn over her every whim. Yet despite all this, she is somehow loveable (a nod to the author’s expert characterisation). Angel is courageous, and bold. She speaks up for herself in a world where everyone tries to control and undermine her. She believes in herself like nothing else. That is a rare quality to admire, however clumsy her ways of showing it. The result is a lead character who made me cringe with her bolshy ways, and who I also became more and more fond of, as the book progressed. The reader is transported with Angel as she launches to fame as a young author. She is published in her teens by a company in London, who are baffled when she turns up in their office, a strange looking young girl with a chip on her shoulder. She refuses to make the changes to her novel demanded by the publisher, and yet they still print it. This says a lot about her relationship with the world. Angel then enjoys unprecedented success, writing novel after novel, although her works (while popular) are mocked by critics, for whom she develops a venomous hatred towards (this made me giggle at times). Essentially there are several reasons why I think this book may now be the best I have ever read. The first being that Taylor’s writing is so skilled – I agree with the sentiment of this article. Elizabeth Taylor is immensely underrated, described as “one of the best English novelists born of this century” and yet so few know of her now. The next reason is how much the themes of the book meant to me. Being an writer, I read with fascination about Angel’s bizarre vanity and self adoration, but yet I still felt her struggles. I’m sure that legions of writers would be able to relate to the pressure she put on herself to write something bigger and better, and truly know how nerve-wracking this is. I was interested in her constant struggle to fulfil the demands of her own vanity and yet not alienate ‘her public’ as her publisher so elegantly put it. And then there were those terrifying moments of self-doubt, which still got to her despite her steely exterior… I related to all of it in some way, for writers very well might be ‘monsters’ as Mantel says, constantly in a battle between their own ambitions and dreams, and the inevitable criticism that comes with their territory, whether internal or external.